Son Inspires Simply-Laura Derby Hats: Fashionable hats and fascinators remain a tradition at the Kentucky Derby. With the prestigious race approaching in May at Churchill Downs, attendees will want to consider their headwear options as soon as possible. 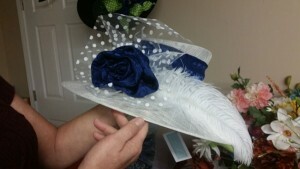 Choosing the right milliner and hat are important factors to consider for Derby attendees. 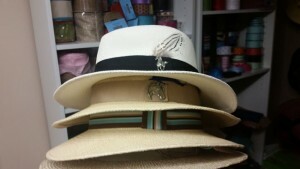 Laura Moser, owner of Simply-Laura in Louisville, sells Derby hats out of her home on the southern end of town. Some hesitation existed to start the business, but the death of her 30-year-old son, who loved cooking and worked as a chef, helped Moser realize that chances in life must be taken now. Moser and her husband C.D. left their careers at American Airlines. “It really opened my eyes to say, life’s too short. You’ve just got to go for it,” she said. For the racing world, the first Saturday in May works as a “prom” where social elites gather not only to wager on horses, but display fashionable attire. Derby-goers get one chance to make an impression to a significantly large racetrack crowd. 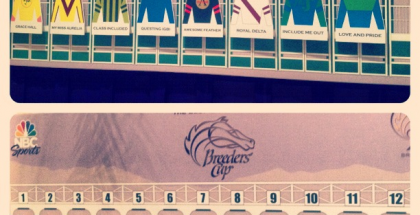 Although Moser has been making Derby hats for years, Simply-Laura officially began on Jan. 1. Eventually, Moser’s work was used at a garden party fundraiser for the National Mall and a boutique store at the Virginia Gold Cup (steeplechase event). The most important feedback though came from various trips to the racetrack. 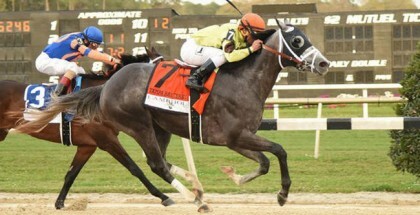 As word catches on, Moser hopes to expand beyond just the Triple Crown races. “There’s other versions of racing where women are starting to incorporate hats in those races,” she explained. Moser pours her heart and soul into making every hat, including pre-made and custom-tailored versions. Encouraging fashionable attire was originally done before the first Kentucky Derby in 1875 to promote a higher-class gathering where racetrack-goers can mingle in a safe atmosphere. Moser agrees the air becomes slightly different in nicer clothing. “It creates the illusion of Royal Ascot,” she said. 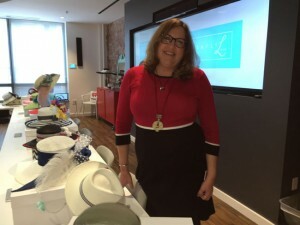 Moser also hopes to open her own retail store, where she will sell not only headwear, but other fashion accessories as well. For this reason, she refrained from using the word “hats” in the brand name. One place in particular has kept her interest as a potential future store location. To help keep it available, the location will not be revealed in this article. “The store my grandmother used to work at … it is out of business,” Moser explained. Yet, her grandmother’s spirit is there today, at least according to rumor. With time and effort, this dream may happen. For now, Moser works from the lower floor of her house in a room surrounded by inspirational pictures and writings. Before leaving the Moser household and ending the interview, she was asked about her favorite restaurant in Louisville. She mentioned feeling inspired to cook at home more often, because it is what her son did throughout his life. Visit Simply-Laura at www.simply-laura.com, Facebook and Instagram. 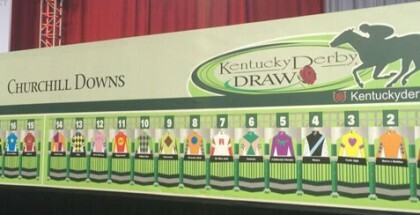 The Kentucky Oaks and Kentucky Derby fall on May 6 and 7 respectively this year. Do not be the only one at Churchill Downs without a fancy hat or fascinator! Laura Moser will make a fabulous hat for men and women to impress everyone.